Commercial AC Repair, Winter Haven, FL | Johnson’s Mechanical Inc. Commercial AC Repair, Winter Haven, FL | Johnson’s Mechanical Inc.
By choosing us for your commercial ac repair needs, you’ll find that we respond quickly and provide reliable services in Winter Haven. When the air conditioning stops working at your commercial business, it can put your schedule on hold while you try to determine the problem. Not only can this affect your employees, but also your production and the ability to serve your customers. Even a minor air conditioning problem can turn into a big issue at a commercial facility. Employee labor and protection laws require employers to provide certain working conditions, so a lack of air conditioning in a Winter Haven, Florida building could require you to send your employees home for the day. If your building has customers who visit frequently, an air conditioning problem could limit who comes to buy your products or take advantage of your services. When the need for commercial AC repair arises, it’s important to have someone to call who understands the dire circumstances. Your business can’t afford to be shut down for days because the facility is too hot and uncomfortable for use. At Johnson’s Mechanical Inc., we are ready to assist you when you need commercial AC repair at your facility in Winter Haven, and we will work quickly to get your system running again. When you own a commercial business, it’s important that you meet deadlines, make your customers happy, and provide a healthy work environment for those in your employment. So, when something happens with your air conditioning system, you may find that everything comes to a halt. By choosing us for your commercial AC repair needs, you’ll find that we respond quickly and provide reliable services that get your AC system operational again in no time. We service all major brands of heating and cooling systems, and we can even discuss whether a routine maintenance plan would help to prevent similar problems going forward. Routine maintenance is one of the best ways to protect your commercial air conditioning equipment. Most manufacturers recommend having a technician inspect the system and perform a tune-up about once per year. During a maintenance service, our licensed and insured technicians will inspect your commercial air conditioner, including the indoor and outdoor units and the ducts that move the air. From there, we can test the system to make sure it’s producing cool air and has sufficient airflow for the space. If we spot any warning signs during your maintenance, we can provide you with a quote for repair immediately, which can prevent the system from breaking down in the future. We specialize in the unique needs of commercial property owners. 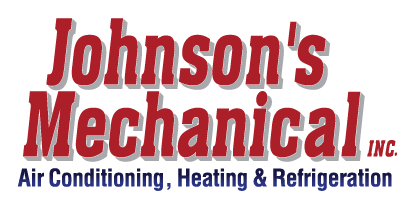 Let our professional team at Johnson’s Mechanical Inc. assist you with all your commercial heating and cooling needs in Winter Haven. We provide a variety of services to keep the HVAC system in your commercial facility in good, working order. Whether you need commercial AC repair, new heating installation or have questions about ductwork and ventilation, we are equipped to assist you at every stage. Contact us today to schedule an estimate or call for services. We believe our honesty and integrity are what set us apart, and you won’t be disappointed with the results.